The Everglade opens up into a mud room with a coat closet overlooking the spacious living room. The kitchen is perfect for hosting with ample counter space and breakfast nook - including upgraded appliances! 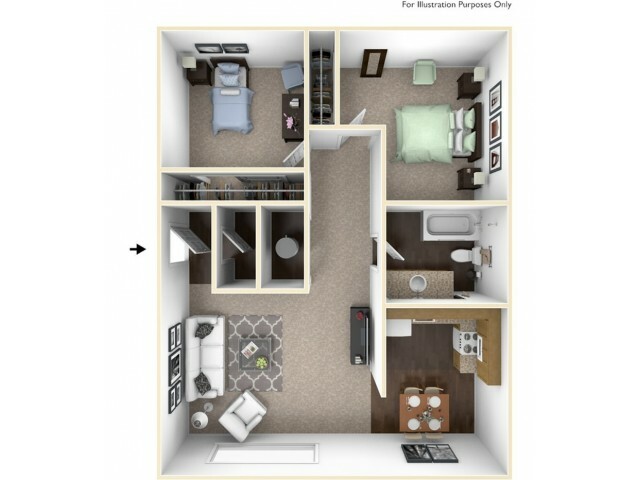 This two bedroom has plenty of closet space and a laundry facility in every building.